Rockwell Automation has invested in a state-of-the-art remanufacturing facility to service the growing demand for re-manufactured equipment. 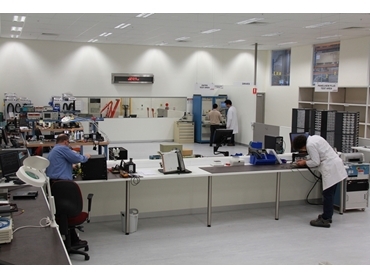 The remanufacturing facility was custom-built to specific requirements during the relocation of Rockwell’s South Pacific headquarters to Bayswater, Victoria. The new workshop includes dedicated work areas for each product range with technician workstations for PLC/HMI fault diagnosis and remanufacturing. The remanufacturing facility also includes an additional drives test and repair workshop, which coupled with increased floor space and a significantly improved layout, maximises work efficiencies through improved product flow. Rockwell Automation’s recently introduced Lifecycle Service Agreement provides customers with three unique services including reserved repair, remote support and onsite service for discontinued products. The agreement allows customers to minimise the risk associated with using older or discontinued Rockwell Automation products, effectively enabling companies to plan their migration to new technologies without affecting productivity. The reserved repair and parts component of the agreement provides manufacturers assured access to Rockwell Automation product replacement, remediation or repair for products included in the agreement. Remote support for discontinued products provides customers with unlimited web support for obsolete or discontinued Rockwell Automation products included in the agreement. The onsite service for discontinued products provides annual preventative maintenance services, migration and conversion-planning support on discontinued Rockwell Automation products included in the agreement. The remanufacturing facility has also recently undergone accreditation so that products coming out of the centre maintain the high standard that Rockwell Automation expects from its global repair facilities with more of the current platforms being effectively supported locally including ControlLogix products. Rockwell Automation South Pacific has attained ISO 9000/14000 certification and provides quality remanufacturing and exchange services to help customers minimise downtime and keep production lines running. With a seven-step remanufacturing process, failed units are restored and backed by a 12-month warranty on the unit. Rockwell Automation, a leading global provider of industrial automation and information solutions offers a broad product mix including control logic systems, sensors, human machine interfaces, drive controllers, power devices and software.